Should You Buy or Lease Your First Commercial Truck? 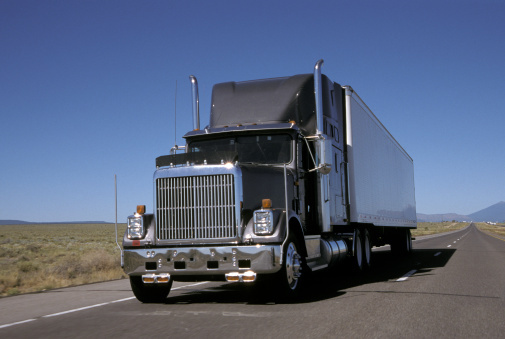 For many people considering enrolling in truck driving school, the end goal is to become an independent owner/operator. These drivers own and operate their own trucking business, which means they make their own schedules, drive their own routes, choose their own pickups and deliveries, and take home 100% of the profits. After obtaining your Class A CDL and setting up an LLC for your trucking company, you’ll need to decide whether to buy or lease your first commercial truck. To help you which option is right for you, here’s a look at the pros and cons of leasing or buying a commercial truck. One of the biggest deciding factors for anyone considering whether to buy or lease a commercial truck is how much they are willing (or able) to spend. Not that you have to come up with the full purchase price up front, but the more you are able to put down the less you will need to finance and the lower your monthly payments and the accrued interest will be. Most lease agreements have a reasonable down payment and offer a predictable monthly payment over the length of the lease. An overlooked aspect of the buy vs. lease debate is truck maintenance. Most lease agreements will include truck maintenance, the cost of which will be built into the monthly lease payments. Drivers who buy their own trucks outright are tasked with all truck maintenance themselves. Leased trucks might also include a longer and more comprehensive warranty during the lease period as opposed to the “X-year/X-thousand mile warranty” that comes with new or used commercial trucks. If you don’t have a lot of money upfront to put down on a nice new truck, you may be able to get “more truck for your money” is you go with a lease. Even high-mileage used trucks that don’t feature any of the modern safety, comfort, or convenience features found on new trucks cost much more to buy in the long run than it would cost to lease a new or like-new commercial truck. As a student at HDS Truck Driving Institute, you’ll have access to driving instructors who have decades of combined experience in the industry and who are happy to share their insights with you, including whether you should buy or lease your first truck. To learn more about our truck driving school in Tucson, call us toll-free at (877) 205-2141. Author janellePosted on March 25, 2016 April 13, 2019 Categories BlogTags Commercial TruckLeave a comment on Should You Buy or Lease Your First Commercial Truck?